Visiting speaker to Darwin: Susie Zada. What did I learn? 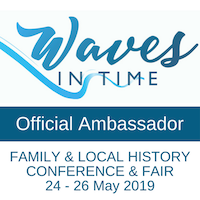 The Dry Season in Darwin brings interstate visitors with family links to the Territory and one of the bonuses is that some of them are expert family history presenters. Today we had the privilege of once again hearing Susie Zada, a dynamic and experienced family historian and professional researcher. I first heard Susie speak a couple of years ago, gaining great tips about using, of all things, sewerage records. You have to admire these visiting guest speakers to the Genealogical Society of the Northern Territory: the attendees get maximum bang for their buck with back-to-back presentations, and if they’re quick, a slice of Elaine’s delicious fruit cake for morning tea. 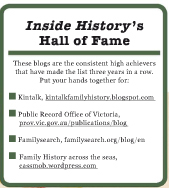 Susie’s topics today include a new spin on some old favourites like researching house and land records for our ancestors and the fantastic records and databases of the Geelong and District Historical Society and the Bellarine Historical Society in Victoria. Susie also spoke about the abundance of records, and indexes, available through the State Records Authority of New South Wales, though with abundant warnings regarding the site’s offer to order a photocopy for $15 per page, rather than pursue the data the old fashioned way, via microfilms, which enable you to scan and/or print the page at minimal cost. Equally important from my point of view is that going to the microfilms lets you peruse the adjacent pages, not just focus on your own specific entry. Warnings about the $15 tempt-trap for the buy-it-now researcher, could equally well be replaced with caveat emptor or RTBM (read the bloody manual!). Susie strongly recommended that we ALWAYS read what is contained within a database, and how it works/whether wildcards can be used etc. Another warning was to read, read and read some more about the background history applicable to your ancestors, their place in Australia and where they came from, so that you understand the context. Over the course of the morning a vast number of resources were mentioned which were new to novice researchers, and well worth investigating to round out your family history. The slides which listed her recommendations were helpful and good guides. However the slides which set out to show particular documents were, in my opinion, close to useless. Even with distance glasses, and having used many similar records I couldn’t make out what on earth was on some. It would be great if the image could be cropped to focus on the particular entry, making it a more useful learning and information tool. Susie comes into her own when talking about heritage studies and the history of houses, and had a couple of great examples. Her final presentation focused on the value of casting a doubting eye over everything we’re told, and read, and regularly reviewing our past discoveries, certificates etc. She told a couple of hilarious stories about how family stories are tweaked to fit popular sensibilities and I loved the story of one of her convicts in particular, not to mention her mother’s response. I’m not sure that I agree with her assessment that “family history=the stories” while “genealogy=the science of family history, and where to prove the stories” but the genealogy vs family history debate is one that’s unlikely to be resolved any time soon. I’ve adopted Susie’s tip about using the ~ symbol in conjunction with a “enclosed set words” to find words within ~20 words of each other. 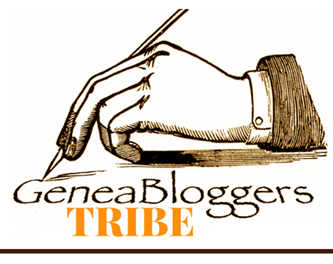 The tilda symbol is one that Shauna Hicks recommends but I hadn’t realised (or had forgotten?) that combined with a set of words in inverted commas, those words would not need to be a phrase rather a combination of words that need to be close to each other. I’ll be using it for my Partridge ancestor in Ipswich to get around all those annoying feathered creatures that come up in a Trove search: So “Partridge Ipswich” ~20. For me, the discovery of the day was Susie’s recommendation about the “geeky” combined search site for the WWI record finder. It’s so cool to be able to see the entire service record for a relative and pick out which document you want within it. I also liked the Wraggelabs population browser, which lets you slide the button through the years, producing population data from the Australia Bureau of Statistics. Those so minded can then document the data into a spreadsheet and prepare a graph as Susie did – a very clear way of seeing the huge gender disparity on the goldfields, for example. You could have a ton of fun with this tool! When Mr Cassmob gets into his own family history, the online Melbourne Metropolitan Board of Works sewerage maps at PROV are bound to be helpful for his Melbourne-based ancestors. Why not take Susie’s advice and move beyond your comfort zone: it’s the only way to learn more about your ancestry and to expand your knowledge and skills….and you never know, it might not be as scary as you fear. Good advice! All in all a morning well spent with someone who really knows their stuff. My tip: if you own a tablet, take it with you to talks like this, as it lets you follow up the links on the spot and see exactly what’s being talked about. FYI: If you want to read more about my own list of offline resources you can click on this link and work your way through my Beyond the Internet posts from last year.